Hamilton Stark is a New Hampshire pipe fitter and the sole inhabitant of the house from which he evicted his own mother. He is the villain of five marriages and the father of a daughter so obsessed that she has been writing a book about him for years. Hamilton Stark is a boor, a misanthrope, a handsome man: funny, passionately honest, and a good dancer. 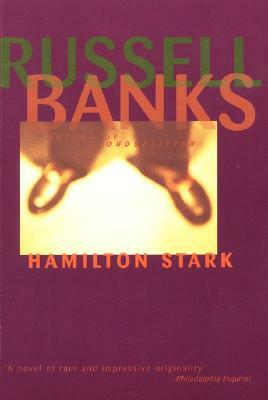 The narrator, a middle-aged writer, decides to write about Stark as a hero whose anger and solitude represent passion and wisdom. At the same time that he tells Hamilton Stark's story, he describes the process of writing the novel and the complicated connections between truth and fiction. As Stark slips in and out of focus, maddeningly elusive and fascinatingly complex, this beguiling novel becomes at once a compelling meditation on identity and a thoroughly engaging story of life on the cold edge of New England.